Alberto Pinero Jr. has been zipping around on an electric bike since high school. The sleek, speedy bike was the result of hours of tinkering and research by a teenager fascinated by technology. 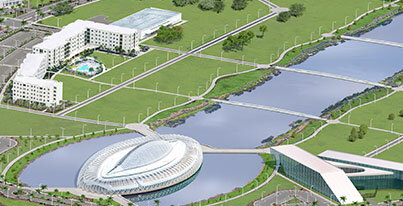 When it came to picking a university that would foster and develop his passions, Florida Polytechnic University was a no-brainer. “Florida Poly has everything I’m looking for,” Alberto explains. 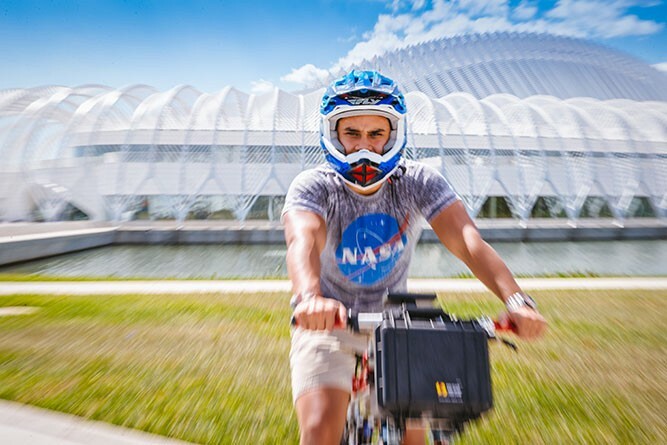 Alberto’s classes break down his existing knowledge and show him why his electric bike — which can hit 50 mph in five seconds — works the way it does. This deeper understanding of individual components is preparing him for his next project: an electric drag racing motorcycle. His current calculations have the bike crossing a quarter mile in under 10 seconds. Electric bikes appeal to Alberto because they are often overlooked and underestimated. What critics miss is that electric engines are much efficient than internal combustion engines. The power of electric engines continues to improve and a drag-racing motorcycle would go a long way to silence the naysayers, Alberto says. “I’m a big fan of showcasing the best of the best that technology has to offer,” Alberto says. Big dreams are encouraged at Florida Poly and, with small class sizes, professors have the freedom to share their real world experiences and knowledge. “There are all kinds of possibilities ahead for me,” Alberto says.